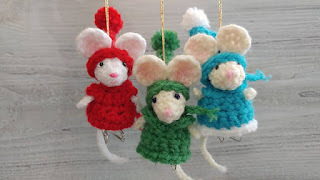 Revisiting the mice pattern today, they make great tree ornaments! This is one pattern using different yarn and hooks to get 3 sizes. I first designed this little mouse in 2011, see on flicker here, but never released a pattern until 2017. I changed the ears but kept everything else the same. 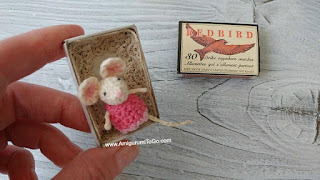 It was released along with a video tutorial. 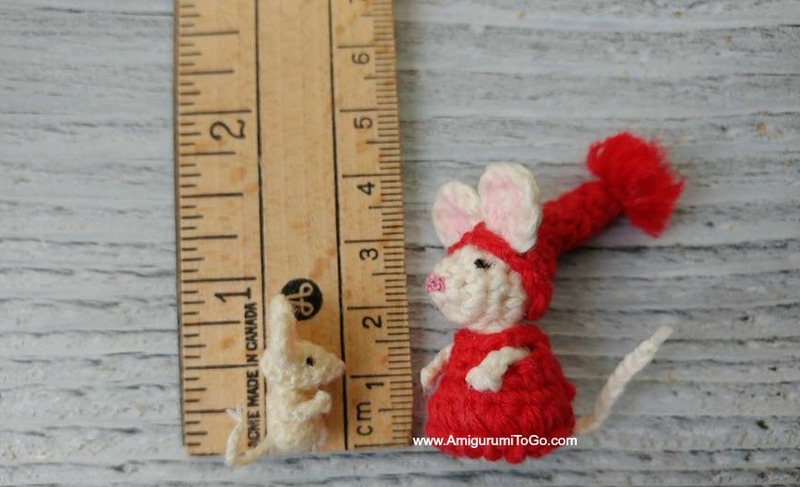 Using worsted weight yarn makes the mouse a more manageable size for those who struggle working with threads. Where to get the patterns? Click on the photos below, they are links. 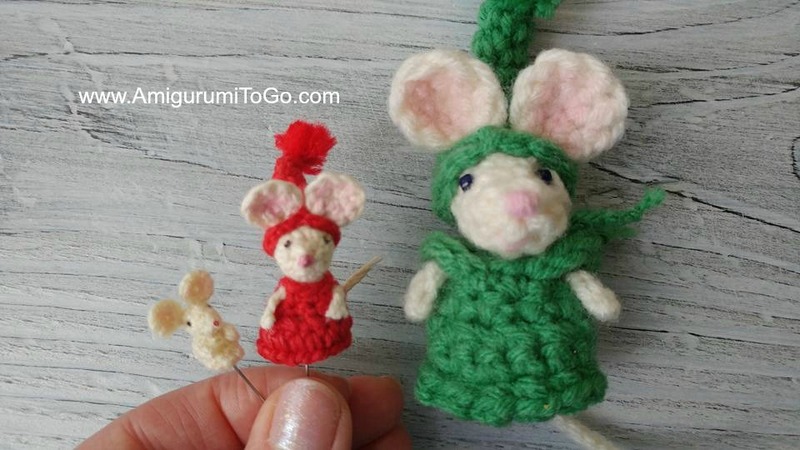 The top one goes to the actual pattern, the smaller mouse and the micro mouse have their own page, the hooks and thread I used to make each one of the tiny ones is listed there.